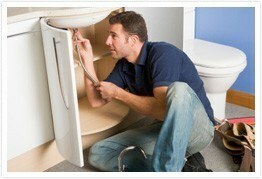 Are you on a budget and need your plumbing done professionally and efficiently at a great price? Are you in need of plumbing services in a time sensitive situation, like a sewer problem, leak detection or a clogged drain? Downey Plumbing, Heating and Air Conditioning specializes in plumbing repairs, maintenance, and installations. Whether it is an emergency or just routine maintenance, we have highly trained professionals to meet your every need with plumbing in Downey and its surrounding areas. We understand how crucial it is to take care of your plumbing and drainage needs in a timely, personalized and professional manner. With over 80 years of experience, our expert service technician’s are properly trained to handle any plumbing issue you may have. From miscellaneous residential plumbing repairs, to commercial new construction, we do it all at affordable prices. We are dedicated to providing efficient and high quality service to each of our customers. When you combine this with the knowledge of our highly trained plumbing, heating and air conditioning technicians, you know you will get the best possible service for all of your needs.